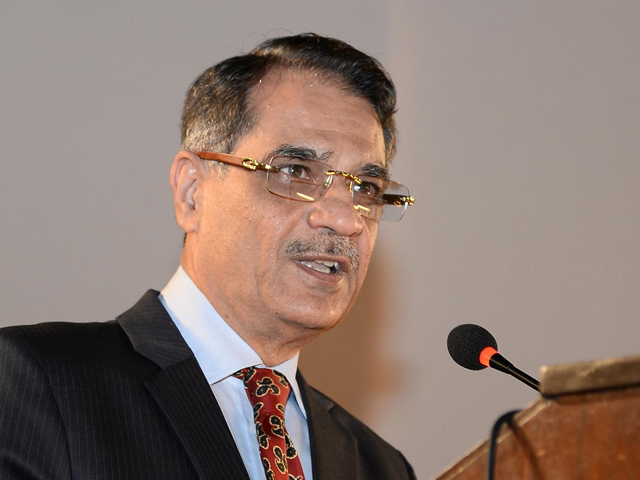 Chief Justice Saqib Nisar arrived back in Pakistan after his visit to the United Kingdom to raise funds for the Supreme Court’s Diamer-Bhasha and Mohmand Dam Fund. Justice Nisar went to London on November 20. He went to Birmingham, Manchester and London to raise funds for the Supreme Court’s fund. During an event, Justice Nisar said that the dam fund had become a first, not just in Pakistan’s history, but in humanity’s. We need $14 billion to construct the Diamer-Bhasha and Mohmand dams, he said. He returned via PIA’s flight PK-786 to the Islamabad airport and will hear cases at the Supreme Court as per schedule. Good intention, good gesture.I support the cause.wish to know the Bank details. Wishjng you success.